So, first I’ll give the summary to the movie of the Pre-1940s. The Adventures of Prince Achmed is taken from The Arabian Nights, the film tells the story of a wicked sorcerer who tricks Prince Achmed into mounting a magical flying horse and sends the rider off on a flight to his death. But the prince foils the magician’s plan, and soars headlong into a series of wondrous adventures — joining forces with Aladdin and the Witch of the Fiery Mountains, doing battle with the sorcerer’s army of monsters and demons, and falling in love with the beautiful Princess Peri Banu. Overall, I thought it was a good movie, especially for its time. The animation is just wonderful. I’ve never seen that type of art before, and I thought it was just so wonderful. I just disliked that I couldn’t really understand what was going on and that I hated the “hero” of the story. Also, some parts can be boring, while some parts can be extremely entertaining. Overall, I’d give the movie a high C+. I do know that people that have seen this movie like it a lot. So, remember this is my personal opinion, and I do recommend to at least watch it once. 2. The Tale of the Fox is in the story, Renard the fox is a charming creature who is so very clever that he often outsmarts even himself. Practically every animal in the kingdom has some complaint about being bamboozled by him, but when he flim-flams the king himself, something must be done. The king attacks Renard’s castle, which is ingeniously (if ineffectively) defended. Once Renard is captured the king can’t bring himself to harshly punish the errant rogue, and instead makes him his prime minister. 3. The New Gulliver is the story, a Communist re-telling of Gulliver’s Travels, is about a young boy who dreams of himself as a version of Gulliver who has landed in Lilliput suffering under capitalist inequality and exploitation. Overall, I did not like this film at all. I could barely keep my eyes open. I was bored throughout the entire movie. A lot of the parts of the movie could be removed, and it wouldn’t make any difference to the movie. The only part I would recommend watching is the King’s reaction at the 30 min mark. It is hilarious and if you can, you should watch him laugh. The animation isn’t very good. It might be good for its time, but it does not come close to standards now. I don’t understand what the point of this movie was at all. I wouldn’t recommend this movie. I’d give it a D-. 4. The Seven Ravens is based on a Grimm fairy tale, the animated The Seven Ravens is the story of a young maiden whose brothers are placed under a curse. Turned into the ravens, the brothers can only be released from their spell by the girl — who doesn’t know how to pull this off. Complications ensue, culminating in the girl being condemned to the stake for witchcraft. Overall, The movie was pretty good. The beginning and middle were good, although confusing at times, but the ending was terrible. The movie will leave you with tons of questions. The animation is brilliant, but the story doesn’t work as well. Also, why doesn’t the Princess or any of the characters have names? Besides, the few things, I would still recommend watching it. I’m not sure if children would enjoy the movie, because it is very slow-paced. So, it would just depend on the type of child. I was going to give the movie an A-, but that ending was really bad. So, the movie gets a B-. 5. The Academy Review of Walt Disney Cartoons is as the name suggests Walt Disney Cartoons that received an academy award. It isn’t an actual movie, but cartoon shorts. Some cartoon shorts are really really good, and others are still good. Overall, the whole movie gets an A-. 6. 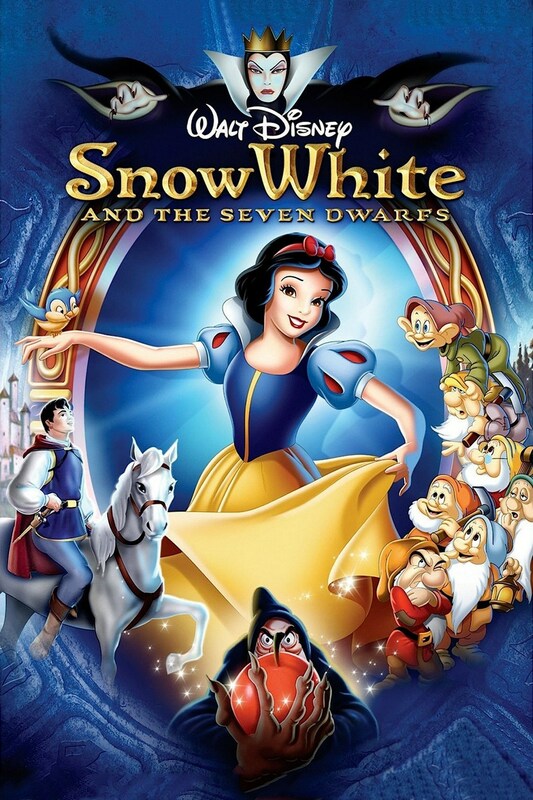 Snow White and the Seven Dwarfs is about the beautiful and kindhearted princess Snow White charms every creature in the kingdom except one – her jealous stepmother, the Queen. When the Magic Mirror proclaims Snow White the fairest one of all, she must flee into the forest, where she befriends the lovable seven dwarfs – Doc, Sneezy, Grumpy, Happy, Bashful, Sleepy and Dopey. But when the Queen tricks Snow White with an enchanted apple, only the magic of true love’s kiss can save her! Overall, Snow White is a classic film. It is nearly 100 years and is still as popular as ever. Most of the characters are great. The villain is amazing, the leading lady is amazing, and the minor characters are amazing. The voice actors and actresses do an amazing job. The animation is perfect and can still hold by today’s standards. The music is great. This is an almost perfect film and is truly a notable achievement in cinema. So, far this is the only movie I would recommend to letting children watch and obviously I do recommend this movie to everyone. Overall, I give it an A+. 7. 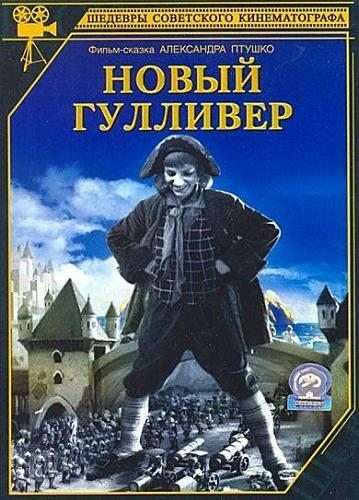 Gulliver’s Travels is about Gulliver being washed ashore on Lilliput and attempts to prevent war between that tiny kingdom and its equally-miniscule rival, Blefiscu, as well as smooth the way for the romance between the Princess and Prince of the opposing lands. In this he is alternately aided and hampered by the Lilliputian town crier and general fussbudget, Gabby. A life-threatening situation develops when the bumbling trio of Blefiscu spies, Sneak, Snoop, and Snitch, manage to steal Gulliver’s pistol. Overall, The movie is alright. It’s not the worst thing I’ve ever seen, but it’s not that good either. Besides, Gulliver, the other characters aren’t very likeable. The animation is just okay. The plot is pretty dumb. The songs aren’t bad, but they are just okay. It’s basically a mediocre movie. It’s not something I would want to watch again. No offense to those that do like it. I think young children might like the movie, because there are a lot of gags, and I think people that like Looney Tunes (which I like, but I’m not crazy over it) would like this film. Overall, the movie is decent and I rate it a B-. Did you think I would choose anything different. I try to be unbiased, but I absolutely love Disney movies, so it will almost always be a Disney movie. But, I will try to not be biased. I hate this movie. Like, I really really dislike it. I do not mean to offend anyone that does like this movie, but I couldn’t stand this movie. I don’t even remember anything that happened. Bleh! Now, we enter a new decade, the 1940s, and begin our first journey with Pinocchio. When I did it I picked The Adventures of Prince Achmed over Snow White because I felt that while Snow White was groundbreaking, Prince Achmed it the standard for Silhouette animation to this day. It is perfection while Snow White is a great first attempt. But it was a hard decision for me. I know I was really surprised lol. I did like The Adventure of Prince Achmed, but I think it was the whole translation thing. It didn’t really make much since to me. And, I hated Prince Achmed lol. I don’t think I’ve ever seen another silhouette animation, but I would like to. I think it’s really pretty. Do they still make movies like that anymore? lol Yea both are really good films. From time to time (though more for short films than full feature ones). Or they try to go for the same effect with easier means. Have you ever seen Harry Potter and the Deathly Hallows part 1? When I saw the story of the three brothers I was all “Huh, that looks like Prince Achmed” and yep, according to the commentary, that was exactly the inspiration. Yes I’ve seen and read all of Harry Potter, but it was a long time ago. So, I don’t remember much. I’ve been wanting to re read and watch the movies again.